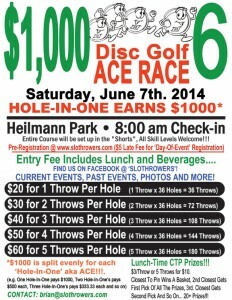 Home / SLOThrowers Disc Golf Events / $1000 Ace Race!!! Saturday, June 7th! $1000 Ace Race!!! Saturday, June 7th! PRE-REGISTER!!! – TO BE GUARANTEED ONE OF OUR AWESOME PLAYER’S PACKS! 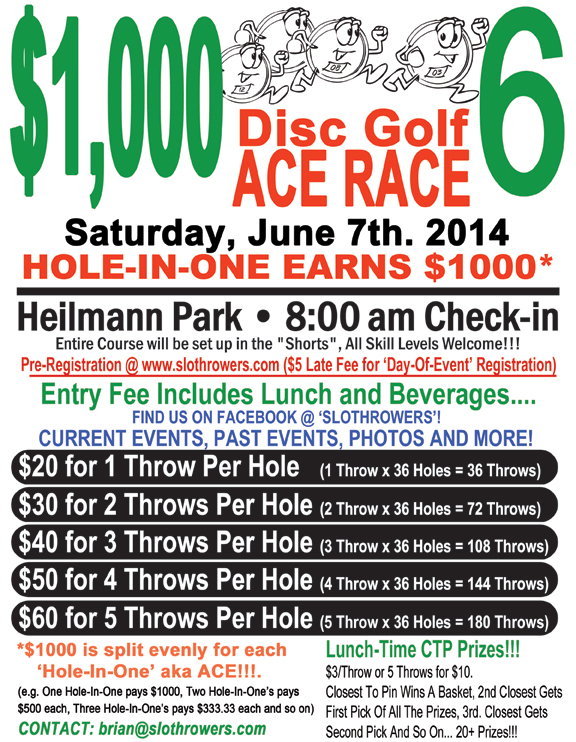 MAKE A HOLE-IN-ONE = SPLIT THE $1000 POT! ENTRY FEE INCLUDES LUNCH, BEVERAGES AND FUN!! !